What’s your comic book origin story? Like, how’d you end up here? My memory has never been great, so there are probably some missing parts to this story, but I’m pretty confident of the major points. While I may have read or owned other comics before I was ‘hooked’ on comics, pretty sure the first book that I actively sought on a regular basis was DC’s Plop. This humor book had three hosts: Cain, Abel, and Eve. These three were horror hosts from older DC horror books, and that got me to try those books, which also soon enthralled the 6 or so year old me. More later maybe, but these were my beginnings. Re: What’s your comic book origin story? I'm a bit younger then a lot of folks on here, but when I was in elementary school in the early 90's I ended up friends with someone that was really in to comics and he would bring them in to class. 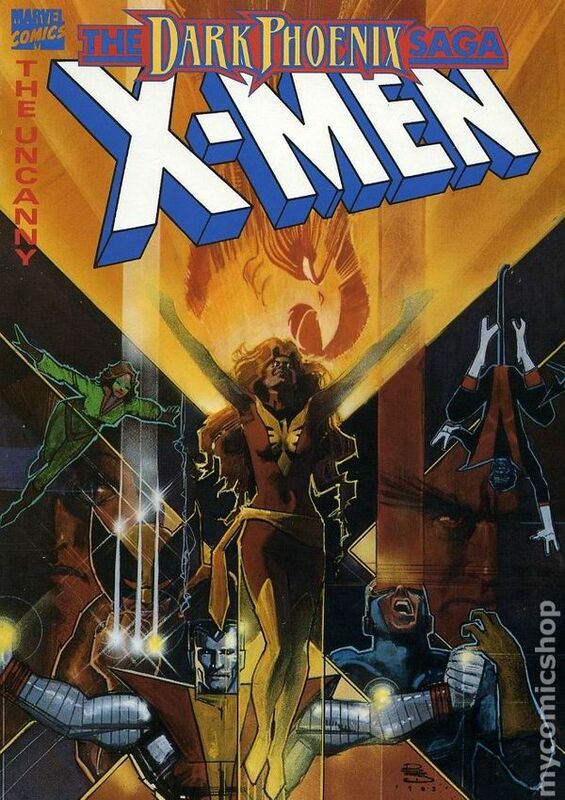 We had a silent reading time, so I'd borrow some and started reading a lot of X-Men, basically stuff like Xtinction Agenda as well as Dark Phoenix Saga. The covers of those old collections are still memorable to me. 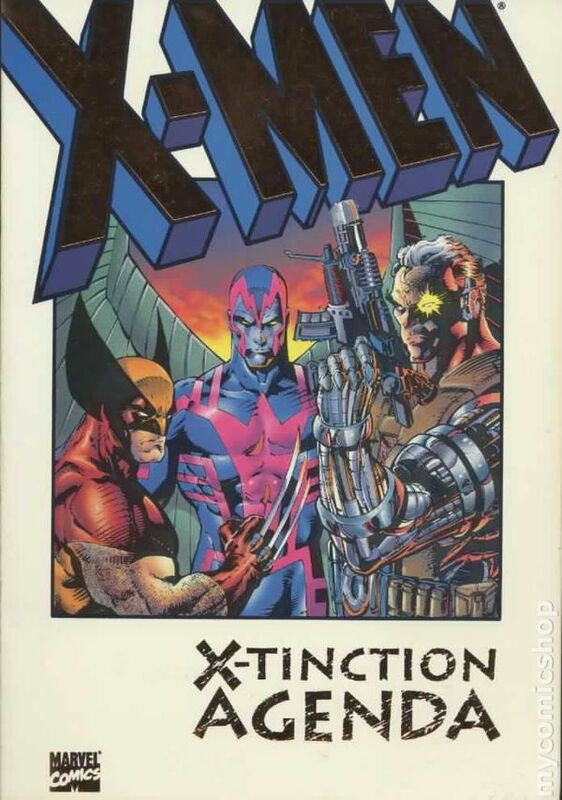 X-Men has been my favorite comic ever since, and it was right around Jim Lee's era as well so he quickly became my favorite artist and has forever been my idea of what comic books and super heroes were supposed to look like. It helped that right around that era would be the launch of the Batman and X-Men animated series. Last edited by fumanstan; 01-21-18 at 08:10 PM. Godzilla #23. I remember it was this one because the movie theater on the first page was playing Jaws 2. Prior to age 7 I was mostly reactive, not proactive. Just along for the ride. Watching tv meant flipping through the three available channels until you found cartoons or a monster. I was taken to the movies, it was never my idea. Everything changed in the summer of 1965 when I was seven. I attribute this mostly to learning how to read and tell time. I was in charge now of me now. It all started on a late summer afternoon in 1965. I lived close to a major street and heard sirens. Like any kid I ran to the corner to see the police, ambulance, whatever, speed by. Another kid was there I'd never seen before. He had just moved in across the street and was the exact same age as me. He had these things with him called bubblegum cards. JAMES BOND SECRET AGENT 007 cards. I was fascinated by them. I clicked right away to the numbering, set, collect them all factor. I started to collect them also, but more than that my main goal in life became seeing these movies. I began checking the newspaper every week hoping to see if they were playing. At this time I became aware of all the movies out there and first felt the desire to go see this or that. I thought the ads were cool and began cutting them out and saving them. I was rewarded with the release of Thunderball at Christmas. The first three movies eluded me for a couple more years. I get home and start reading the FF. It was continued from previous issue. What a rip! At the end it was continued again. Another rip! So I examined this comic book thing I was reading. It was numbered. OK. It had a month date. OK. I get it now. These things come out once a month and you buy them all to get the whole story. How cool is that! Again, I was fascinated by the whole numbering, set, collect them all aspect. The third event in a few short weeks to change my life. By happenstance I caught a tv ad for a new series starting this fall. Lost in Space. I just had to see this. I started checking the tv guide for the first time in my life so I wouldn't miss it. This is when I put the whole tv series, same time each week, new shows start in fall picture together. So I watched the premiere episode of LIS, and what to my wonderous eyes should appear: CONTINUED NEXT WEEK! SAME TIME! SAME CHANNEL! WOW! Just like the comic books! I'm sold, lock, stock and barrel. 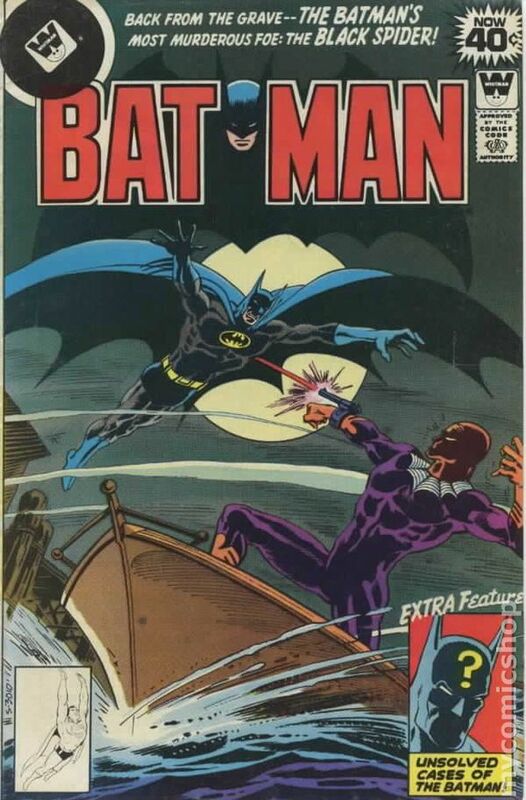 A few months later Batman premiered with the same cliffhanger endings. Thus started a lifetime of collecting this, that, and the other thing. When I was young, I collected baseball cards and some other trading cards, and for some reason my parents bought me some of the Marvel trading cards (I can't remember if it was series 1 or 2) and that got me interested in comics. Then I got Amazing Spider-Man #347 when I saw it on the stands at the grocery store (this issue was from 1991 so I would have been 9 when I got it), and I think I bought a few comics at grocery and convenience stores for a few months. Then, I realized there was a place called 'The Comic Stop' across from the 7-11 I would go to, so I checked that out and the obsession just grew from there. I read it so often it fell apart. I eventually replaced it years later with mint copies. ^ Mint copies? I’ll take the falling apart one! Great stories! Thanks! You had more lenient parents than I had. My folks wouldn't let me see the Bond films at all until the spring of 1965, just weeks before my 12th birthday. My father finally gave in because he'd been reading the Ian Fleming novels (which I later did also) and when UA reissued DR. NO and FROM RUSSIA WITH LOVE as a double feature that spring, he wanted to go and evidently would have felt bad not letting me and my siblings go, so we all went. (My middle sister, about to turn ten, was the youngest on this trip.) My parents' reasons for not allowing me to see them before then were strictly on the basis of the sexual content of the films. I began collecting the James Bond cards well before I saw the films. And, of course, the cards gave away the plots for each of the first three Bond films. Didn't affect my enjoyment of them. FROM RUSSIA WITH LOVE is still my second favorite Bond film (after YOU ONLY LIVE TWICE) and one of my most-seen films of all time. I caught Dr. No and Goldfinger for the first time sometime before the release of TOLT. I didn't get to see From Russia With Love until a reissue with Thunderball in 1968. As for lenient parents. I was 11 when OHMSS was released. I brought a friend with me to see it. He'd never seen a Bond movie. We got dropped off and picked up when it was over by my dad. This other kid was showing his little brother the fighting he had seen in the movie and broke his brother's tooth. His parents blamed me and wouldn't let him hang with me anymore because I was a bad influence. The Thunderball trading cards never showed up in any of the stores around me. Was on a road trip vacation the summer of 1966 and saw them at a Stuckey's or Nickerson Farms. I would have bought the entire display box if I had the money and parents would let me. I got one pack. Never saw them anywhere again. I grew up seeing superheroes in other mediums as a very young child from the Superfriends cartoon, to the Adam West Batman, to Donner's Superman movies. Which made a huge impression on me. So I was already sold on comics before I had ever really read one. 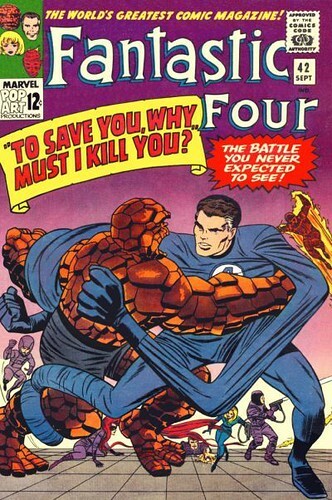 When I would see the colorful comic book covers at the grocery and newsstands, I begged my parents for a couple. There is a bit of nostalgic sadness that a young kid today really can't have that same origin story for their future readership. When I discovered new ones came out each month, I was slowly hooked from an early age on DC and Marvel. What probably made it permanent was when a comic book shop opened up about a mile from my house. The first time I realized there was a whole store dedicated to comics, it blew my young mind. Long gone....I sort of remember my little brothers discovering silly putty about the same time and using it on the pages. I remember when I was a kid, being at the mall with my parents and bored. I asked if I could buy this "magazine" that was on a spinner rack in a book store. I read it in the car on the way home, and I thought it was awesome. The silver and red robot was cool, the white ninja with the cape was awesome, and there was a tiger lady too. 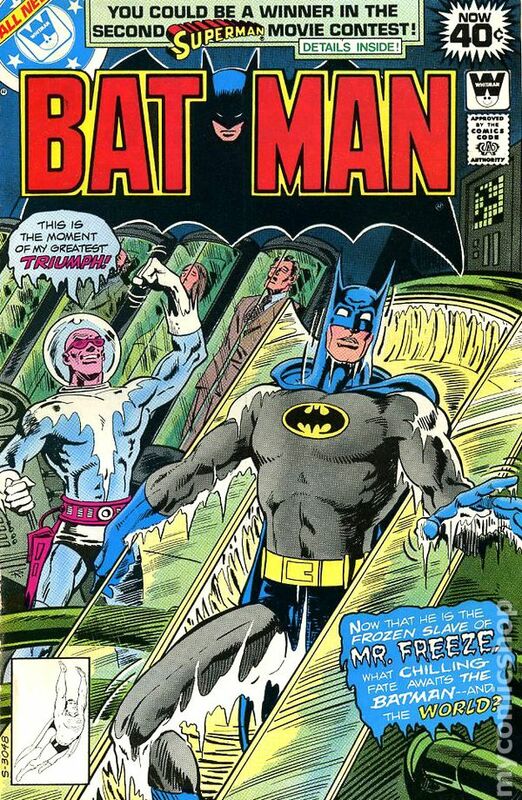 I loved that there was this entire world full of superheroes, and most of them were all featured in this single comic! It was also a little dark for a kid like me, with "Crackers" the grim reaper killing everyone in different ways. Getting a comic off the spinner rack was like the equivalent of having a smart phone today for a kid. You had access to the world because a comic featured the ongoing saga of these superheroes in "real life Manhattan", hints at an entire past history ("see ish #185 -the Editor") there were all these ads for upcoming video games, ads for comic cons and back issues, and then there was a letters page where you could read other people's opinions on the comic. It was great. 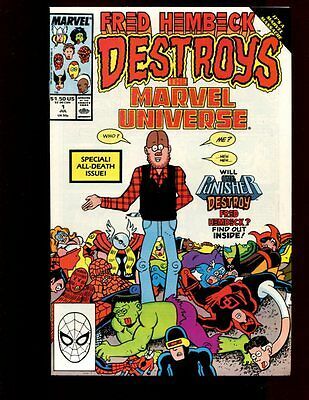 Oh yeah, for the longest time I was looking for the sequel, "The Marvel Universe Destroys Fred Hembeck" but I guess that was just a joke on the back cover. Last edited by brayzie; 01-22-18 at 05:42 PM. Hembeck is awesome, and a key component to my fandom. He’s a great friend/follow on Facebook. Every year, my best birthday greeting is from Fred. Pre-adolescence, we had mostly DC comics in the house, Superman, Batman, Justice League, Superboy, Jimmy Olsen, etc. Maybe some Archies, maybe a Charlton or Gold Key or Dell title here and there. 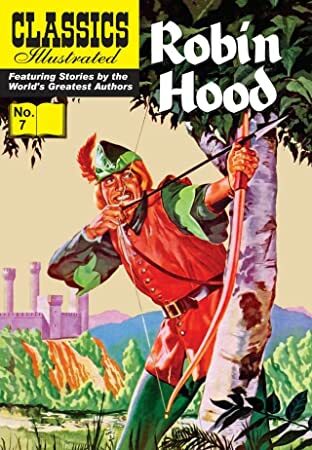 Plus lots of Classics Illustrated. In fact, somewhere in the family archive is a shot of my sister in front of the barber shop holding a copy of Classics Illustrated. 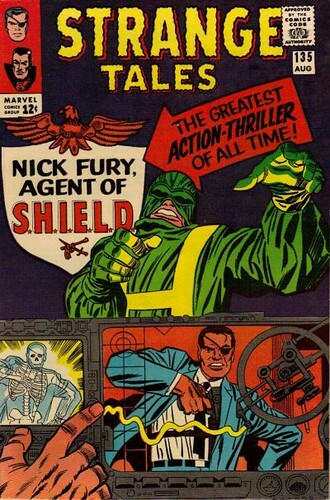 But when I was about to graduate from elementary school (6th grade) in June 1965, I discovered Marvel Comics: Strange Tales: Nick Fury Agent of SHIELD, Spiderman and The Fantastic Four. And I was hooked. During the 80's, I would grab comics off the rack at the grocery store and read them while my mom did her grocery shopping. They were all Marvel comics for some reason, and I distinctly remember reading things like X-Men and Secret Wars II. The first issue of my collection, G.I. Joe #37, arrived in the mail soon, and was followed a few weeks later by Transformers #6. I still have both of them, even though I later bought NM copies of the issues, since my subscription copies were so beat up. I loved the battle between Megatron and Shockwave in that issue, and I even managed to pick up a page of original art from that issue on eBay a while ago. I kept my mail order subscriptions to those two titles for 6 years. I hated it when the mailman would put a big crease down the middle when putting it into the mailbox for some reason. It's interesting that comics still have subscription information and pricing in the indicia if you look at the first (or last) page of each issue. I've wondered what would happen if I sent a check for a subscription. I can't imagine they have more than a handful of subscriptions, and maybe even none for some less popular titles. I guess I was lucky. They were 12 cents for nearly my entire childhood and adolescence. 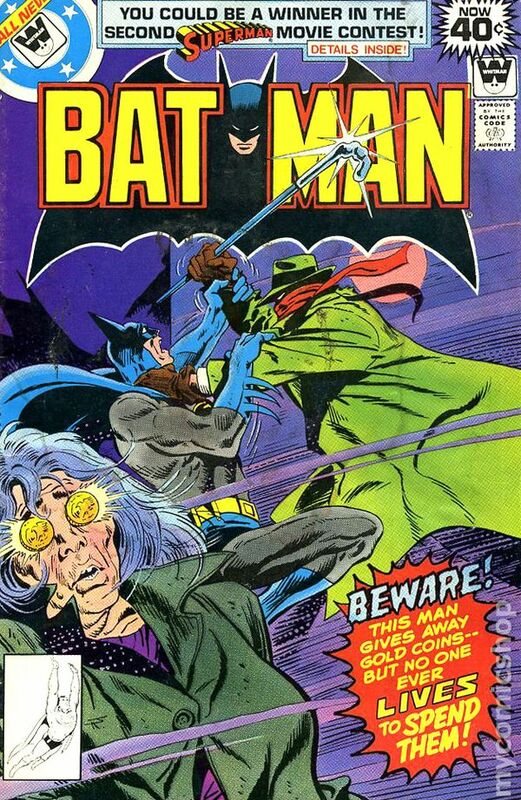 They went up to 15 cents when I was either in high school or college and 25 cents a little later around the time I stopped buying comic books. I started when they were 20c. Even though books were cheaper my parents where really tight with money. I remember getting that Transformers comic off the newsstand at the local convenience store. That whole era of Transformers comics had great covers, though I was usually disappointed by the interiors. 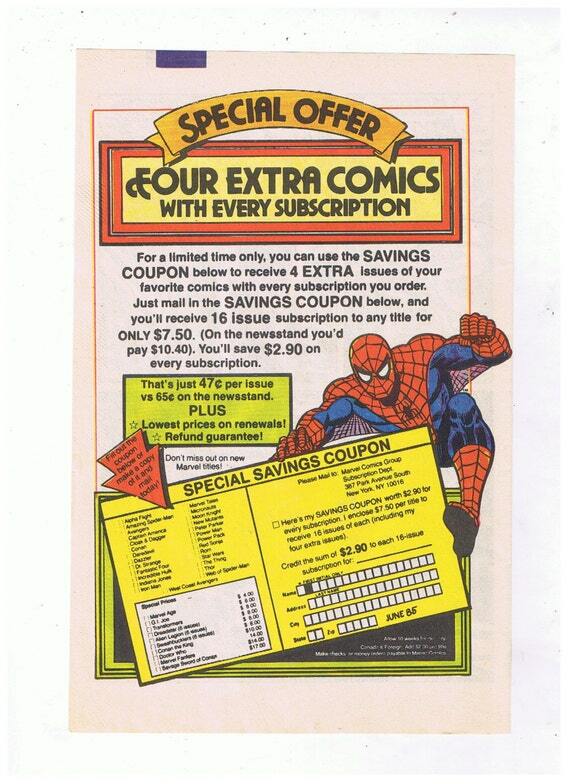 You can even buy discount subscriptions to comics. Discount Mags occasionally runs sales on comic book subscriptions from the publishers.